Half the battle of sports handicapping is managing game data including live scores and lines. On the Sports Edge! schedule page, a continuous feed of live data keeps the application up to date showing current progress of an active game selection as well as making it clear when a game is at half or about to begin. By centralizing the schedule data and presenting live scores, Sports Edge! 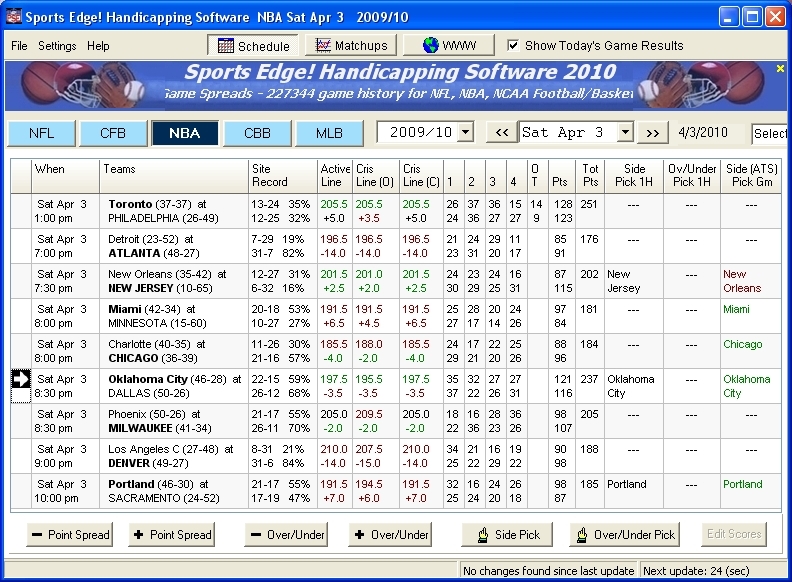 becomes the window into your handicapping experience.